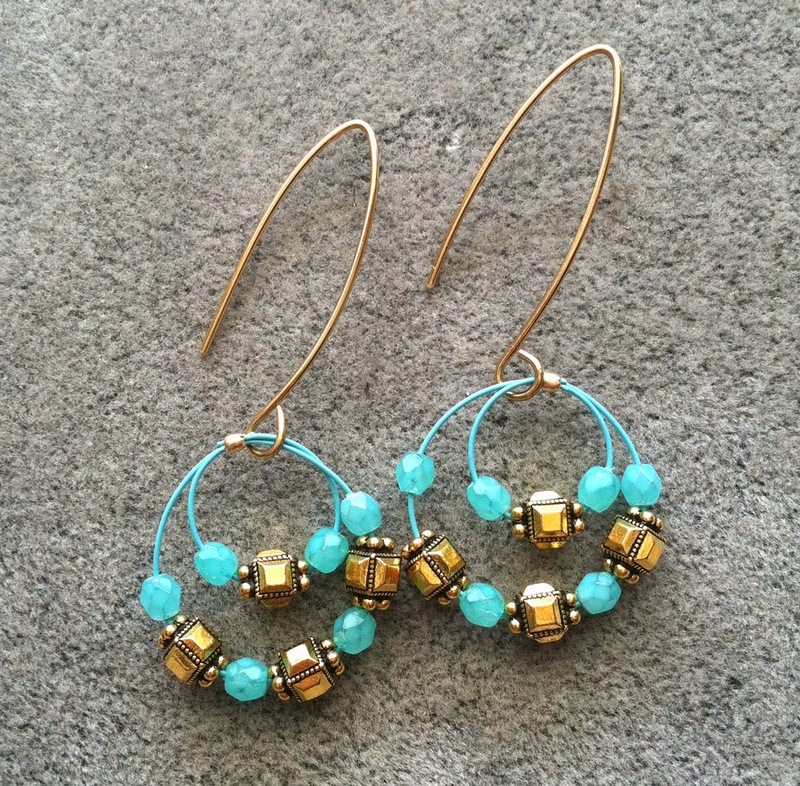 The shape of the ear wires, low hanging hoops and color scheme give these earrings a modern Mediterranean vibe. 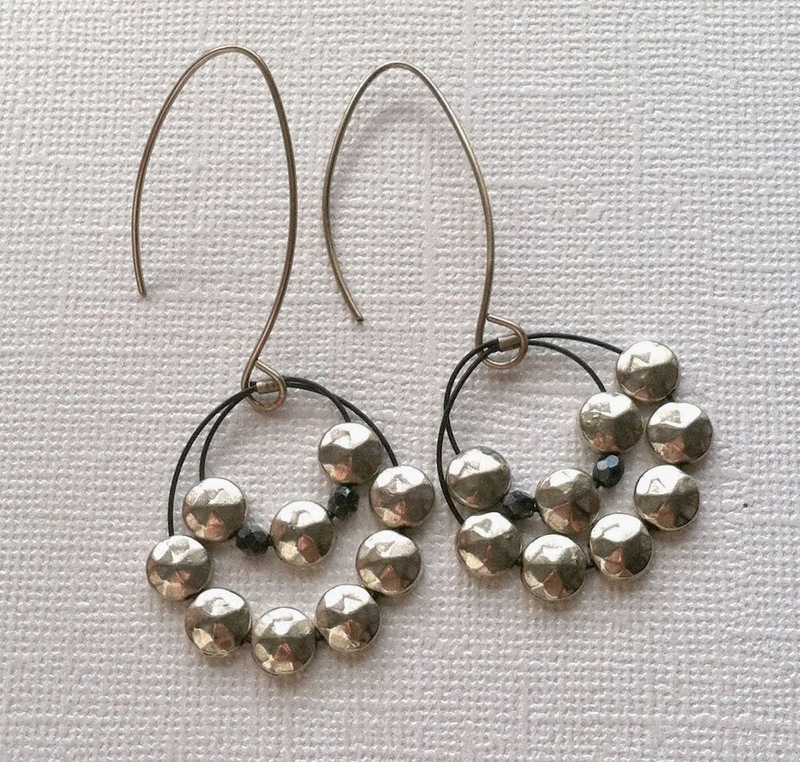 I created similar black and pewter earrings awhile ago that I wear all the time. This is project is easy and great for a beginning beaders. Skills required are crimping and wire looping. For crimping help, please visit our webpage, All about Crimps. 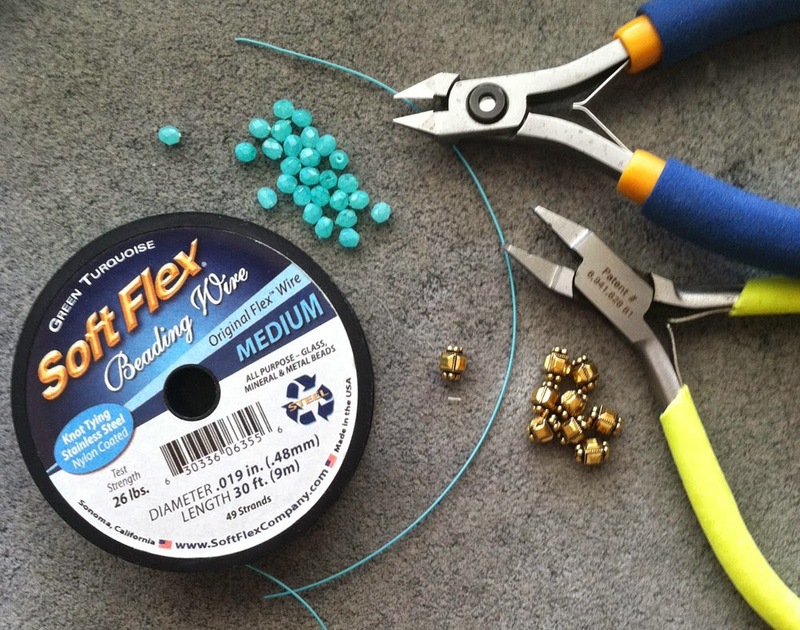 Cut Soft Flex Beading Wire into two 8″ lengths, one for each earring. 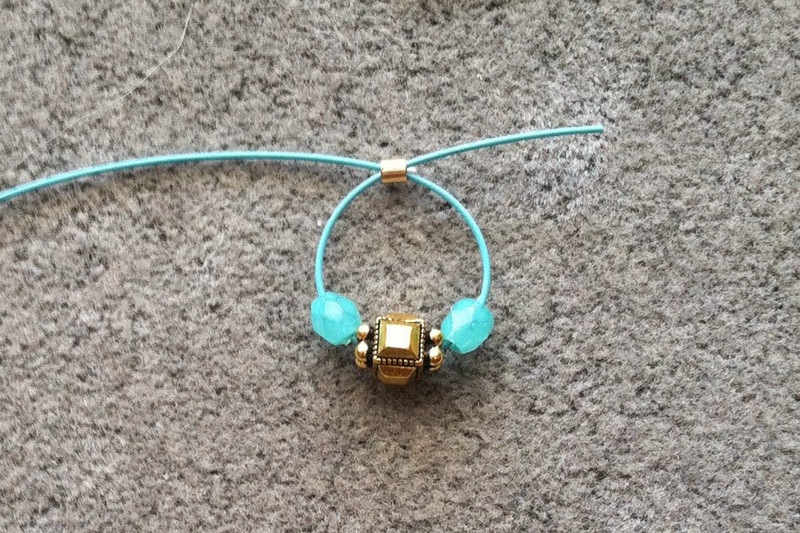 String crimp tube, one turquoise fire polish bead, one gold plated spacer bead and one turquoise fire polish bead. Take the other end of the wire make a circle back through the crimp tube for your first loop. Using the tail that went through the crimp for the loop, string your beads for the second loop. 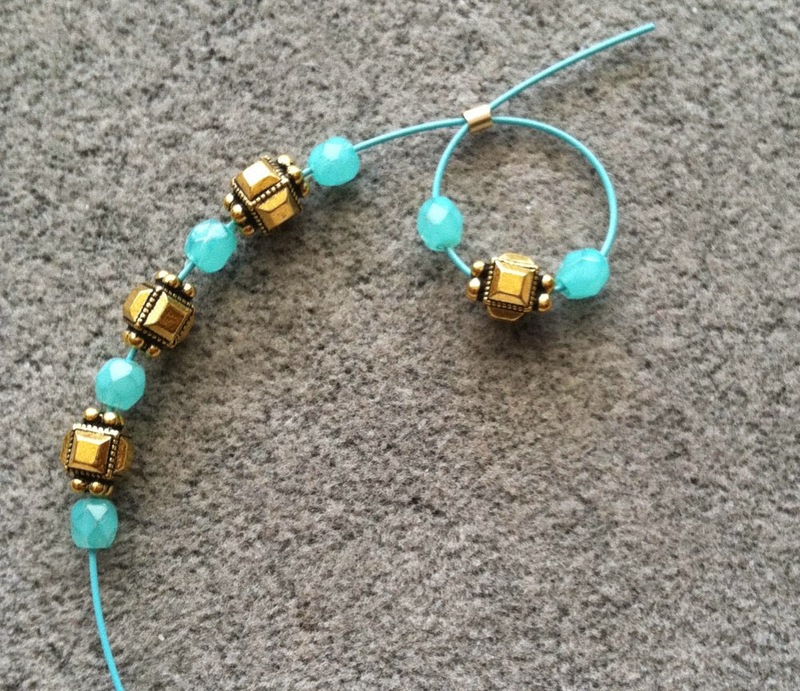 Alternate 1 turquoise fire polish bead and 1 gold plated bead until you have 4 turquoise fire polish beads and 3 gold plated beads. Take your wire tail and feed it through the crimp tube again making your second loop. Adjust wires until you are happy with size of both loops. When ready, use your Magical Crimpers to close the crimp tube. For crimping instructions, click here. Finally, trim off the excess wire close to the crimp. Make your second earring dangle the same way. 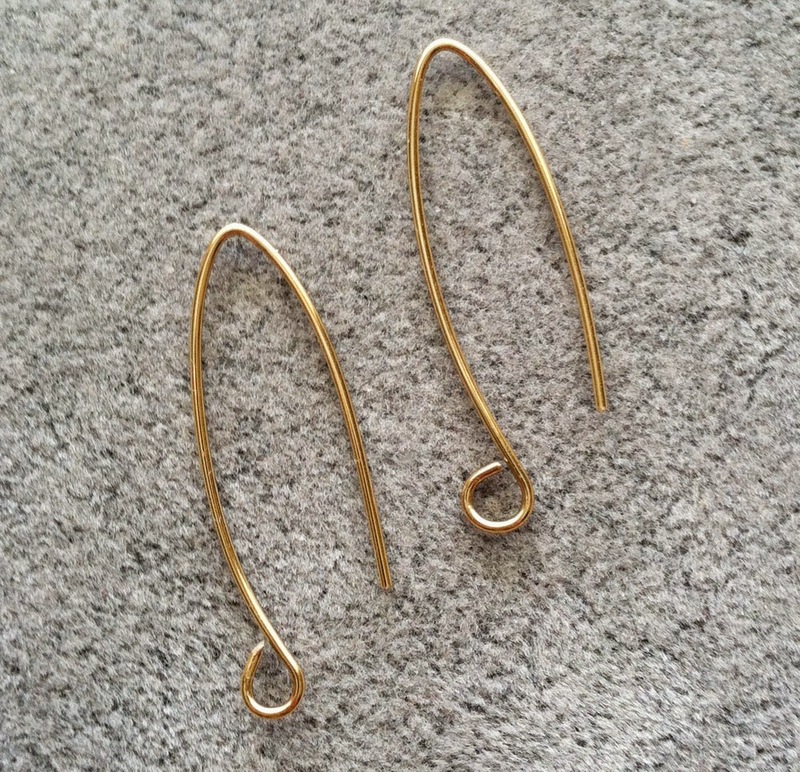 When making the second earring pay attention to the loop sizes of both loops before crimping. Now, we’ll make two ear wires. For the ear wires, cute two 3″ lengths of your 20G Craft Wire. Using your Nylon jaw pliers smooth out your wire. Then, create a wire loop on one end of each wire piece with your round nose pliers. 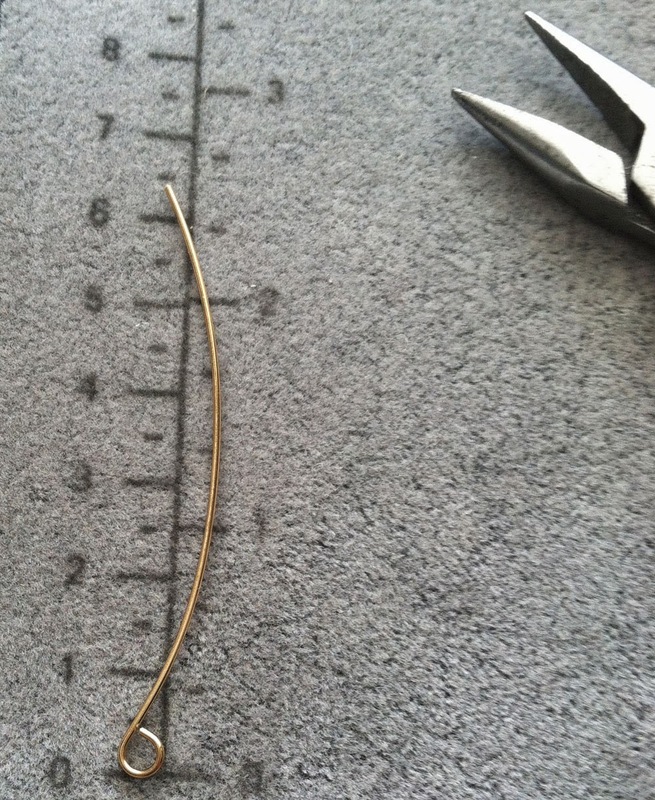 Measure your wire piece and at about 1.25″ mark use your chain nose pliers to bend the backward. Trim the wire tails to your desired length. Using your hammer and block, work harden the loop area and the front facing portion of the wire, then with the bur cup file down the wire end that goes through your ear. Finally, open your ear wire loops with your chain nose pliers and attach each to your earring dangles. Here is an alternate design idea. 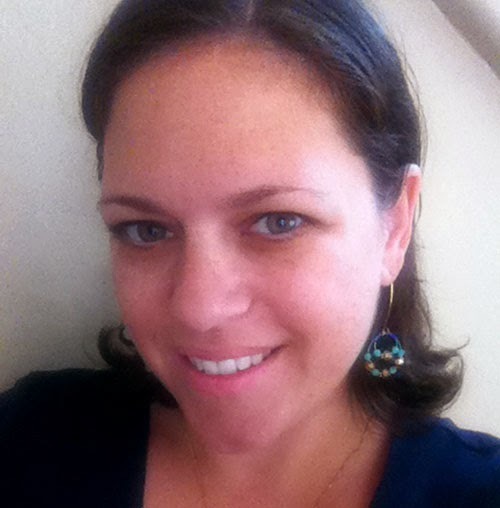 These are the black and pewter earrings I mentioned earlier that I love and wear ALL the time! 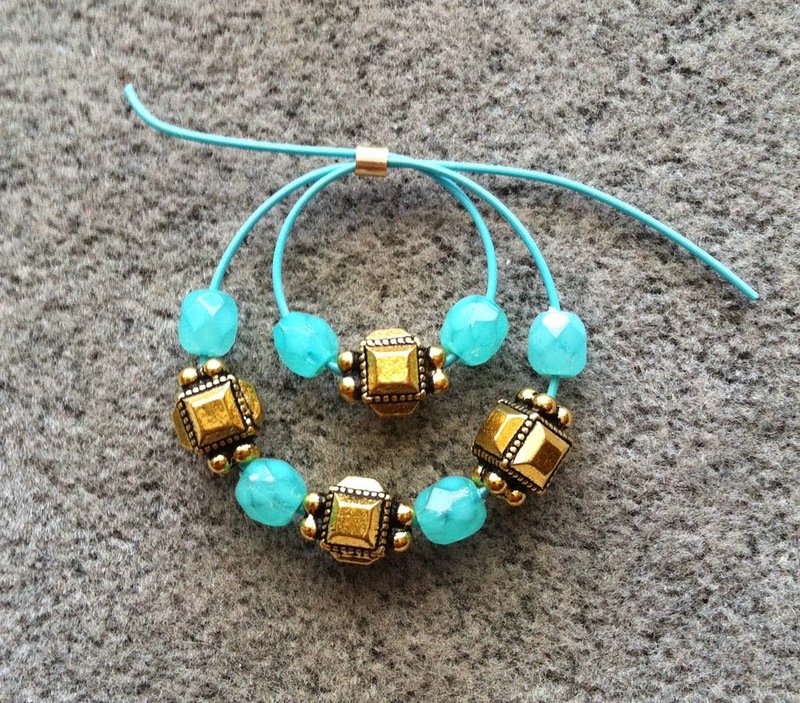 The design possibilities by simply changing beads and colored wire are endless. I like what you guys tend to be up too. Such clever work and exposure! Keep up the superb works guys I’ve added you guys to our blogroll.